Wow! What an amazing weekend!?!?! 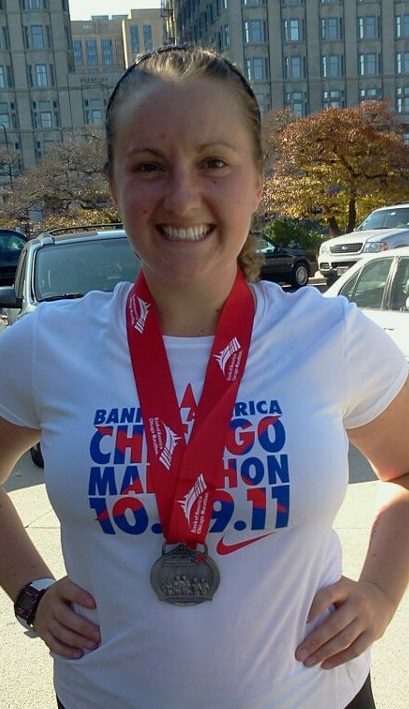 I feel like it still has not quite hit me, that I actually accomplished my marathon goal. 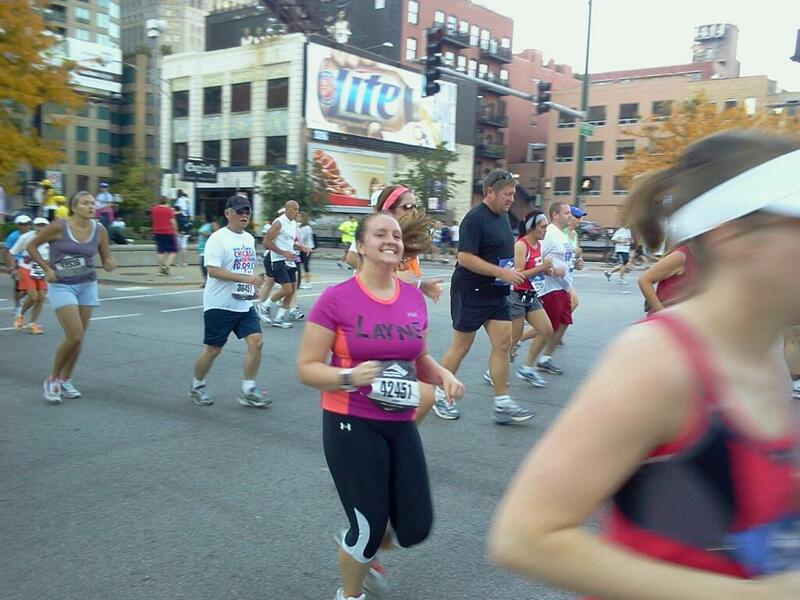 At the beginning of the race, one of the Nike pacers told us that all we were doing that day was “taking a victory lap”. She said that the hard part was all of the training that we had put in, and now it was time celebrate. I tried to keep this perspective in mind while I was traveling throughout the city. Although, I will admit it felt like an awfully long victory lap. I had so much fun yesterday! The spectators were incredibly supportive. People were cheering for the runners all day long. I could not believe how late the people who lived along the course stayed outside to encourage us, and they were so helpful. My split times were definitely much faster in the areas that were more populated. I had my name taped across my shirt and I loved how many people called out my name (or attempted to) throughout the race. I felt like a beauty queen because I was waving all day! Around mile 18 I lost my momentum for a little while. Luckily, my mom had signed up for text messaging alerts and she saw that my pace was way too slow. She jumped into the race with me for a mile and got me to speed up. It was really helpful to have her company for a little bit. Once I only had 5 miles to go I knew I could make it, and I picked up the pace. My family was waiting for me at mile marker 26 and my mom made me stop to take a picture, and then she didn’t even get the sign in it. 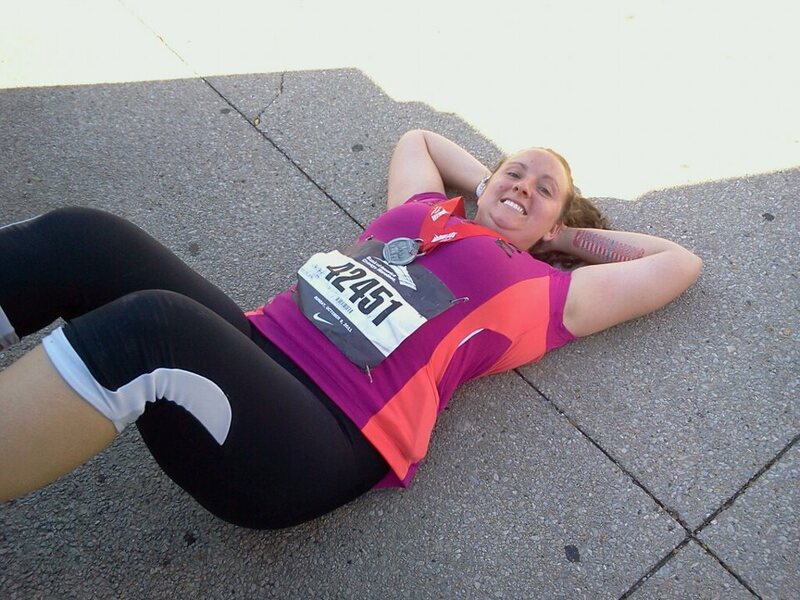 Afterwards I was able to sprint to the finish… then hobble to get my things together, and rest on the pavement. 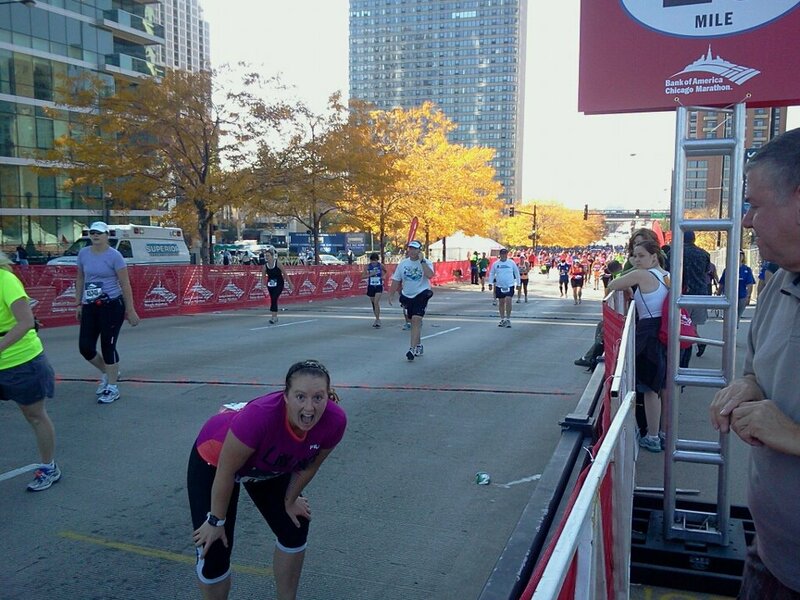 This entry was posted in Run for Fun and tagged Chicago Marathon, First Marathon by sparklesandsweat. Bookmark the permalink.